When the Enron scandal broke and that icon of corporate America filed for bankruptcy on December 1, 2001, the Oilholic was as stumped by the pace of events as those directly impacted by it. In the months and years that were to follow, bankruptcy proceedings for what was once 'America's Most Innovative Company' according to Fortune, turned out to be the most complex in US history. It soon emerged that one of Enron's own – Dr Vincent Kaminski – a risk management expert especially headhunted in 1990s from Salomon Brothers and appointed Managing Director for Research, had repeatedly red flagged practices within the energy company's corridors of corporate power. Alas, in a remarkably stupendous act, Kaminski and his team of 50 analysts, while specifically hired to red flag were often ignored when and where it mattered. Cited cautions ranged from advising against the use of creative accounting, "terminally stupid" structuring of Enron's special purpose vehicles (SPVs) to conceal debt by then CFO Andrew Fastow, and the ultimately disastrous policy of securing Enron's debt against stock in the corporation itself. What transpired has been the subject of several books – some good (especially Elkind & McLean's), some bad and some opportunistic with little insight despite grandiose pretensions to the contrary. Having lapped all of these up, and covered the scandal in a journalistic capacity, the Oilholic had long wanted to meet the former risk manager of Enron. At last, a chance encounter in 2012, followed by a visit to Houston last November, finally made it possible. These days Kaminski is an academic at Rice University and has written no less than three books; the latest one being on energy markets. Yet, not a single one on the Enron fiasco, one might inquire, for a man so close to it all? At peace and reasonably mellow in the Houston suburb of The Woodlands, which he calls home, the former Enron executive says, even though it rankles, the whole episode was "in the past", and despite what was said in the popular press – neither was he the only one warning about impending trouble ahead nor could he have altered Enron's course on his own. "A single person cannot stop a tanker and I wasn't the only insider who warned that there were problems on the horizon. Looking back, I always approached every problem at Enron in good faith, gave the best answers I could come up with on risk scenarios, based on the information I had and my interpretation of it, even if bosses did not like it. "If honesty was deemed too candid or crude then so be it! Whatever I did at Enron, the red flags I raised, was what I was paid for. Nothing less could have been expected of me; I saw it as my fiduciary duty." He agrees that Enron's collapse was a huge blow to Houston's economy and overall wellbeing at the time. "There was a chain reaction that affected other parts of the regional economy. 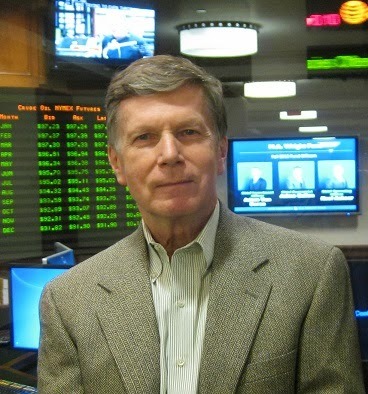 In fact, energy trading and marketing itself went through a crisis which lasted a few years." To this day, Kaminski says he has no way of knowing whether justice was done or not and isn't alone in thinking that. "By the time of the final winding-up process, Enron had about 3,000 entities created all over the world. It was an extremely complex company." But does the current generation of Rice University students ask him about Enron? "Right now, I am teaching a different generation. Most of my students are typically 25 to 30 years old. When the Enron scandal unfolded [over a decade ago] they were teenagers. A lot has happened in the corporate world since then, which they have had to take in as they've matured. The financial tsunami that was the global financial crisis, and what emerged in its wake, dwarfed what happened at Enron. For them, Enron is but a footnote in corporate history." "That scandal devastated public trust in one brand, however big it may have been at the time. But the global financial crisis eroded public trust in an entire sector – investment banking. Perhaps as a result, Enron's collapse has ceased to generate as much interest these days. That's a pity! Depending on one's point of view, the extent of the use [or misuse] of SPVs and the number that was discovered at collapsing financial institutions in 2007-09, was several times over what was eventually catalogued at Enron." Hence, the ex-Enron executive turned academic doubts whether the world really learnt from the scandal. "Enron was a warning from history, from the energy business to other sectors. I describe my former employer as a canary in a coal mine demonstrating the dangers of excessive leverage, of having a non-transparent accounting system and all those sliced and diced SPVs." "Pre-crisis, the financial sector was guilty of formally removing 'potentially' bad assets from the parent company to SPVs. However, in real financial terms that wasn't the case. When things took a turn for the worse, all the assets and liabilities put on to SPVs came back to be reabsorbed into the balance sheets." Formally they were separate and 'special', Kaminski notes, but for all practical reasons there was no effective transfer of risk. "Rewind the clock back and there was no effective transfer of risk in the case of Enron either when its horror story of SPVs and creative accounting came out in all its unsavoury detail. So if lessons were learnt, where is the evidence? Now, let's forget scruples for a moment and simply take it as a basic mistake. Even so, there is no evidence lessons were learned from the Enron fiasco." He adds that those who don't have an open mind will never learn. "This is not exclusive to the energy business or financial services. It's perhaps true of everything in life. Arrogance and greed also play a part, especially in the minds of those who think they can somehow extricate themselves when the tide turns." As early as 2004-05, the Rice University academic says he was debating with colleagues that a financial crisis could be on the horizon as the US property market bubbled up. "Some people branded me as crazy, some called me pessimistic. They said the world is mature enough to manage the situation and progress in economic and financial sciences had created tools for effective management of market and credit risks. Some even agreed that we'll have a train wreck of a global economy, but to my amazement remarked that they knew how to "get out in time." Kaminski says while it can be true of individuals who can perhaps get out in time, it cannot be true of large corporations and the entire financial system. "They would invariably take a hit, which in some cases – as the financial crisis showed – was a fatal hit. Furthermore, the financial system itself was scarred on a global scale." Over the years, this blogger has often heard Kaminski compare chief risk officers (CROs) to food tasters in medieval royal courts. "Indeed, being a risk manager is a job with limited upside. You cannot slow 'acting poison' and the cooks don’t like you as you always complain that the food tastes funny. So if they catch you in a dark place, they will rough you up!" he laughs. "I have said time and again that risk managers should be truly independent. In a recent column for Energy Risk, I gave the example of the CRO at Lehman Brothers, who was asked to leave the room when senior executives were talking business. It is both weird and outrageous in equal measure that a CRO would be treated in this way. I would resign on the spot if this happened to me as a matter of principle." He also thinks CROs should be reporting directly to the board rather than the CEO because they need true independence. "Furthermore, the board should not have excessive or blind confidence in any C-suite executive just because the media has given him or her rock-star status." A switch from the corporate world to academia has certainly not diminished Kaminski’s sense of humour and knack for being candid. "Maybe having your CEO on the cover of Business Week [Cue: Enron's then CEO Jeff Skilling] could be the first warning sign of trouble! The second signal could be a new shining tower [see above left - what was once Enron’s is now occupied by a firm Skilling called a 'dinosaur' or legacy oil company – Chevron] and the third could be your company's name on a stadium! Our local baseball team – Houston Astros – called a stadium that was 'Enron Field' their home, then 'Enron Failed'. Thankfully, it's now shaken it off and is simply Minute Maid Park [a drinks brand from Coca-Cola's portfolio]." "But jokes apart, excessive reliance or confidence in any single individual should be a red flag. I feel it's prudent to mention that I am not suggesting companies should not reward success, that's different. What I am saying is that the future of a company should not rely on one single individual." Switching to 'crude' matters, Kaminski says trading remains an expensive thing for energy companies and is likely to get even costlier in light of higher capital requirements for registering as a swap dealer and added compliance costs. "So the industry will go through a slowdown and witness consolidation as we are already seeing." On a more macro footing, he agrees that the assetization of black gold will continue as investors seek diversity in uncertain times. As for the US shale bonanza versus the natural gas exports paradigm, should exports materialise in incremental volumes, the [domestic] price of natural gas will eventually have to go up stateside, he adds. "Right now, the price [of US natural gas] is low because it is abundant. However, to a large extent that abundance is down to it being cross-subsidised by the oil industry [and natural gas liquids]. I believe in one economic law – nothing can go on forever. "As far as the LNG business is concerned, it will still be a reasonably good business, but not with the level of profitability that most people expect, once you add the cost of liquefaction, transportation, etc." The Oilholic and the ex-Enron pragmatist also agreed that there will be a lot of additional capacity coming onstream beyond American shores. "We could be looking at the price of natural gas in the US going up and global LNG prices going down. There will still be a decent profit margin but it's not going to be fantastic," he concludes. And that's your lot for the moment! It was an absolute pleasure speaking to Dr Kaminski! Keep reading, keep it 'crude'! © Gaurav Sharma 2014. Photo 1: Dr Vincent Kaminski at El Paso Trading Room, Rice University, Houston. 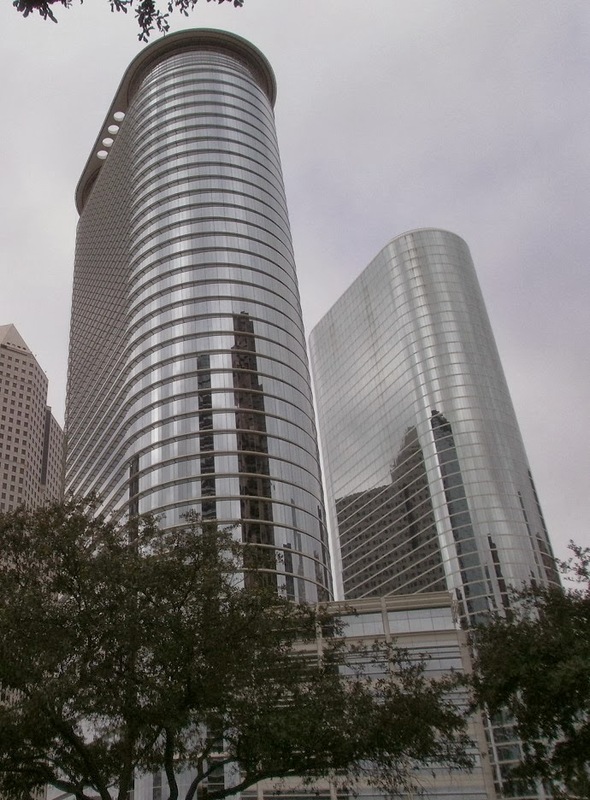 Photo 2: Chevron Houston, formerly the Enron Towers. 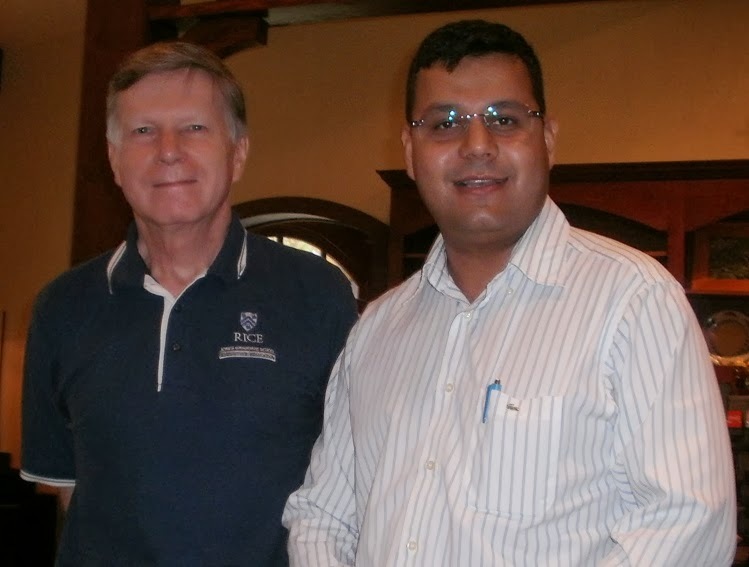 Photo 3: Dr Kaminski & the Oilholic, in The Woodlands, Texas, USA © Gaurav Sharma, November 22, 2013.